One of the important things to do in order to get maximum horsepower and smooth power delivery from your motorcycle is to make sure the carberators or throttle bodies are synchronized. Normally this is accomplished with special tools which are often filled with some kind of special fluid which can leak- dangerous since older models often used mercury which is toxic. I wanted a simple tool which was easy to use, portable and something I could toss in my tool box without worrying it was going to get damaged or leak. Hence I created CarbSync- and electronic carburetor/throttle body synchronization tool. 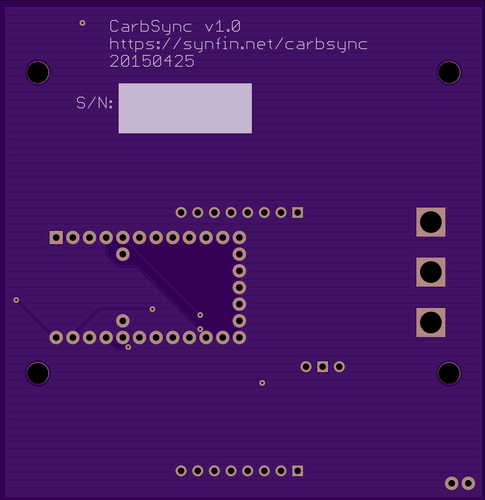 CarbSync uses 2-3 AA batteries and has four independent solid state digital vacuum gauges. The vacuum for each intake is continuously updated on an easy to read LCD screen. A simple averaging algorithm is used to reduce jitter and provide for easy adjustment. 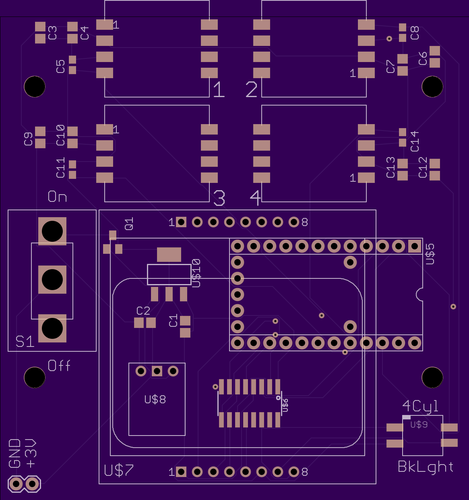 Everything is managed by a 16Mhz PJRC Teensy 2.0 micro-controller.